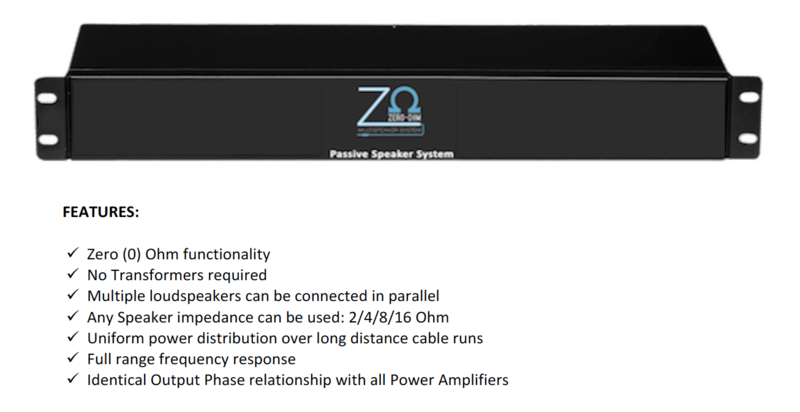 ZERO-OHM System is a passive device that interconnects between any amplifier and multiple loudspeakers without the concerns of amplifier speaker loads, impedance and extremely long cable runs. This Patented Design eliminates the need for 70V-100V transformer products. Multiple loudspeakers can be wired in a parallel connection to impedances below one (1) Ohm. 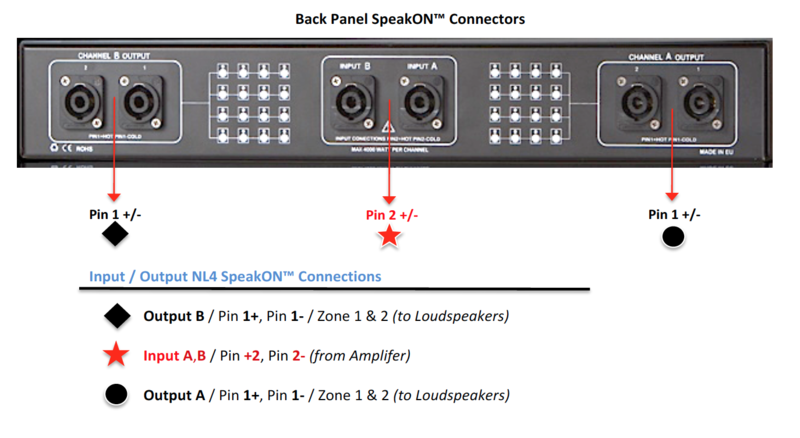 Up until now, the ability to connect multiple speakers in parallel was confronted by the issue of operating the amplifier at a safe nominal wattage. Although there are amplifiers that operate at 4 ohms and 2 ohms safely, any effort to drive it below the rated resistance led to device failures. With this revolutionary invention, the rules have changed.